Do Cats Help with Depression and Anxiety? Cats are known to be cuddly, amusing and downright relaxing. The way they sleep is indeed inviting and calming. Such are the antics of cats that make them perfect as therapy for depression and anxiety. 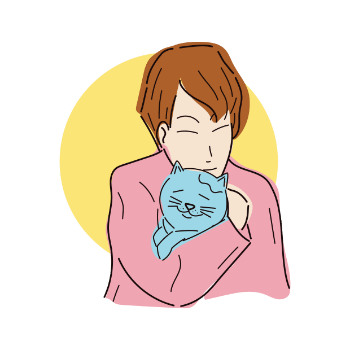 There are countless stories of people who are undergoing therapy for depression and anxiety, whose condition improved when they took care of a cat. They say that the presence of cats in their lives gave them a sense of purpose and meaning. If you are a person undergoing depression and anxiety, you are so absorbed in your thoughts that you might have the tendency to isolate yourself from your loved ones and friends. The presence of cats in your life serves as a distraction from this tendency. Feeding, cleaning, and caring for them is already a diversion from your unnecessary thoughts and this distraction lets you see a different perspective on life. The cat breaks the monotony and boredom in your daily battle with isolation. The cat’s playfulness will also help you smile and forget about any thoughts that you are currently preoccupied with. By disregarding your concerns for the moment, it will free your mind of worries and lessen the anxiety that is brought by your needless thoughts. No, you do not have to purr like your cat to relax. It is the other way round. When you pat or stroke your pet and it suddenly elicits a gentle purr that in itself is relaxing. To get it to purr when you stroke it gives you a certain degree of satisfaction and contentment because you were able to get it to relax. Seeing your furry friend cuddle on your lap and purr has a calming effect. It lowers your stress levels. This is not merely instinctive. Scientists have even decoded and explained how this works. A cat’s purr, when measured in hertz frequency, is equivalent to gamma waves which are often referred to as the meditation waves. This is what makes that purr therapeutic. A cat offers unconditional love and as such, it is also an ideal life companion. But unlike dogs which follow their human companion’s every whim and caprice, a cat has a mind of its own. It can stay in a corner for a longer period of time if it wants to but it can leave that place when it begins to feel uneasy. You cannot force a cat to stay put if it wants to roam around, play with it if it does not feel like it, and follow you if it is tired. This makes it a perfect companion for you because it mirrors your moods and complexities. Your nurturing self is activated whenever you have a pet. This offers a room for growth in your development and inner healing. “Cats”, according to a life coach, “make you feel that you are not alone and they offer unconditional love which can be extraordinarily soothing when feeling isolated”. Cuddling is a means of showing care and affection. Whenever you cuddle someone or a pet, in this case, a cat, some chemical reaction happens inside you. Your body releases the hormone oxytocin. Oxytocin is responsible for your overall well-being and it is oftentimes referred to as the “cuddle chemical”. This hormone is also responsible for increasing your empathy level. Your four-legged friend may be responsible for your positive mood changes and increased empathy whenever you cuddle it. It is a good sign because this means that you are now capable of feeling for others. Want to catch up on your sleep? Own a cat! Yes, a cat helps you sleep better according to scientific studies. 41% of those who slept beside their cats reported that they slept better without any distractions compared to 20% who didn’t. Furthermore, a good number prefer to sleep with their furry friends than their partners. This is so because it does not make unnecessary noise when it sleeps and it moves gently which will not wake you up. Generally, a cat when sleeping beside you emits gentle purrs that help in giving you a relaxing sleep. This study suggests that you will have better chances of a good night’s sleep than those who do not own a cat. When you get to have a peaceful sleep, tension is lessened. Are cats therapeutic? 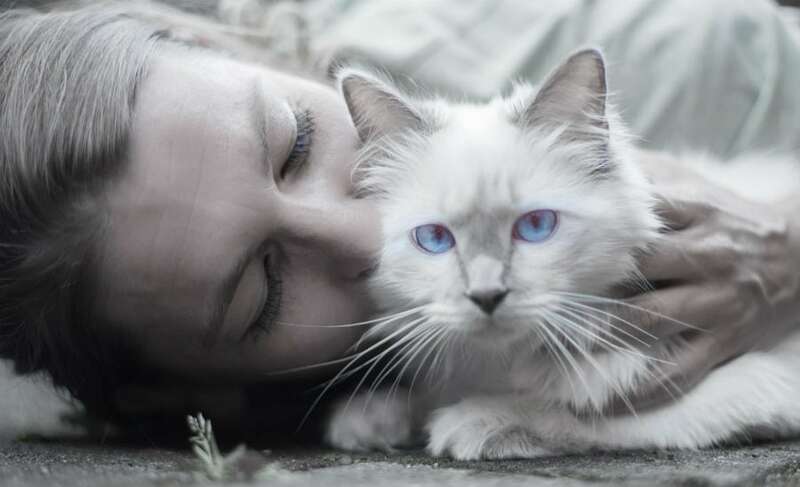 In a recent study about cats, 87% of cat owners say that their pet cat relieved them of their stress and 76% held that their regular stress levels went down when a cat is beside them. It likewise serves as a relief from crying fits. The presence of your cuddly pet on your lap gives you a sense of serenity and security. It draws your attention to a more meaningful thought of life away from worry. Your furball becomes your social and emotional support whenever you are down and feeling lonely. Its feelings are very sensitive. You may not notice it but it notices you when you feel sad, lonely, scared, anxious, or stressed. If you want you may train your present pet cat and certify them as therapy cat. If you are depressed and anxious and you feel that you no longer have a meaningful purpose in life, caring for a cat will alter your perception. Having a cat obliges you to care for it. Caring for a cat means not only providing for its biological needs but also its psychological needs. You must pet it, love it, care for it, and make it feel secure. These affections that you provide for your cat are the very affections that you certainly need. And it is sure to give it back to you with loyalty and love. Do cats help you with your depression? The answer is a big yes! The instances mentioned above are the very core of how a cat can cure your depression. And if you are still not convinced, try getting a cat and you will see the difference it makes in your life. Cats help with human anxiety as supported by the numerous testimonies of people who have undergone anxiety and have had anxiety attacks. They all are in agreement that cats made them feel better even without the help of medication which also reduced the after effects of anti-anxiety and anti-depressant drugs. Overall, studies made by the Human-Animal Bond Research Institute revealed that 74% of people have said that their mental health improved because of their pets. Certainly, cats also belong to this category. So what are you waiting for? When you are depressed or anxious, owning a cat does heal and can make you feel better.